other information Cló Iar-Chonnachta CICD 186, 2011. 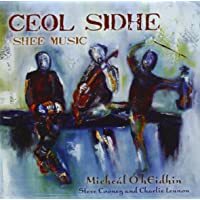 The CD package consistently displays the artist name as "Micheál Ó hEidhin," in large print, followed by "Steve Cooney and Charlie Lennon" in small print. Recorded in Spiddal, Co. Galway. With introductory texts by Pat Ahern and Micheál Ó hEidhin, and tune notes by Micheál Ó hEidhin. Launched 20 August 2011 according to <https://www.cic.ie/en/music/non-digital/ceol-sidhe-cd> viewed 22 April 2014. 2 SgJig What's the Hurry? What's the Hurry? / Cá bhfuil do Dheifir? [1st tune in a set titled:] "Limerick's Lamentation / [title given for this particular tune:] Marbhna Luimnigh"
[2nd tune in a set titled:] "Limerick's Lamentation / [title given for this particular tune:] Marbhna Luimnigh"